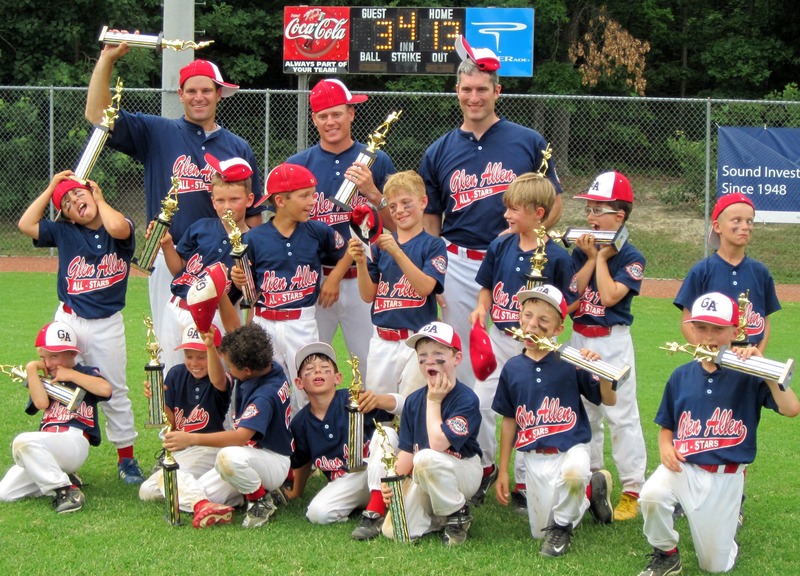 Home › Baseball › District 3 – 8U Rookie League Champions! 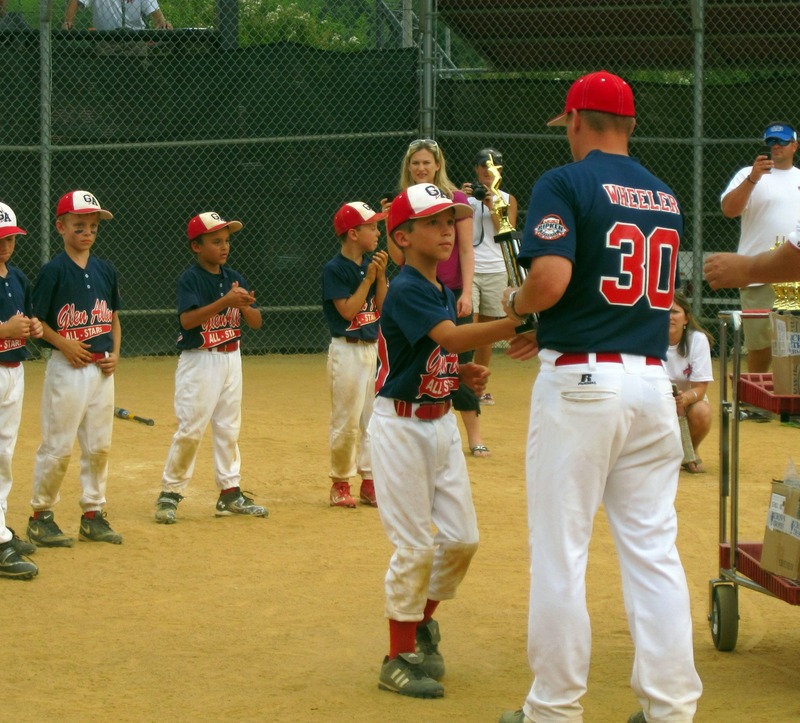 District 3 – 8U Rookie League Champions! Riley’s All Star local tournament was this weekend. Despite having lost all 4 of their scrimmage games, they boys took advantage of a good draw and two out of 3 games where the opponents were playing their 2nd game of the day. But despite that, they played incredibly well. They won 3 games in a row and kept playing better and better. Riley was stoked! 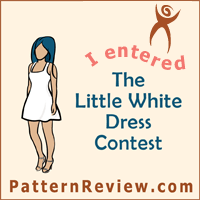 And the fact that they got a huge trophy – well – it was a bonus! So, the team goes to the State Tournament in 2 weekends in Northern VA. Today we got word from the coaches wife that we will probably play 4 games over Thursday / Friday and then (if we win) 1-2 games Saturday and Sunday. Oh yeah – they might not allow us to bring cooler’s into the ball fields (and frowned on them having them in the car) – and I need to keep 3 other kids from being totally bored…fun times! But so proud of Riley for sticking with it and being such a good sport and trying so hard and learning so much over the last few weeks.